One place to access all your business interactions, reducing the need to move between applications. A very efficient and collaborative tool, seamlessly integrated with almost all of the Apptivo apps. View all your sales interactions, made from various apps, right from Apptivo homepage. 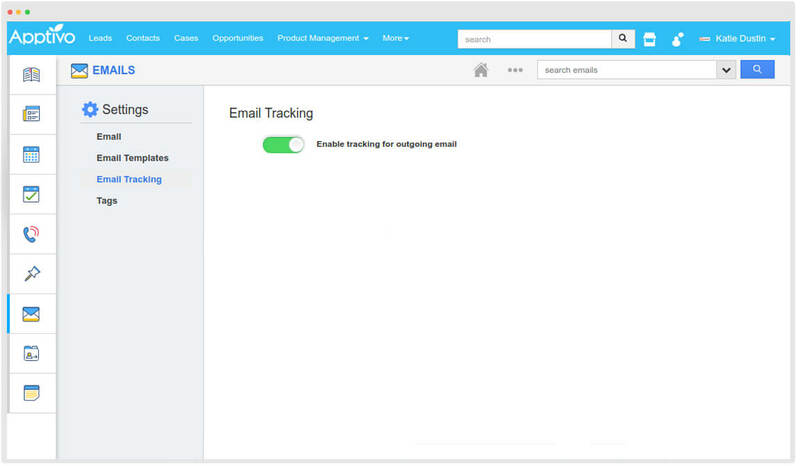 A Powerful tool to send and track all your emails. Maintains a cohesive integration with your email client. 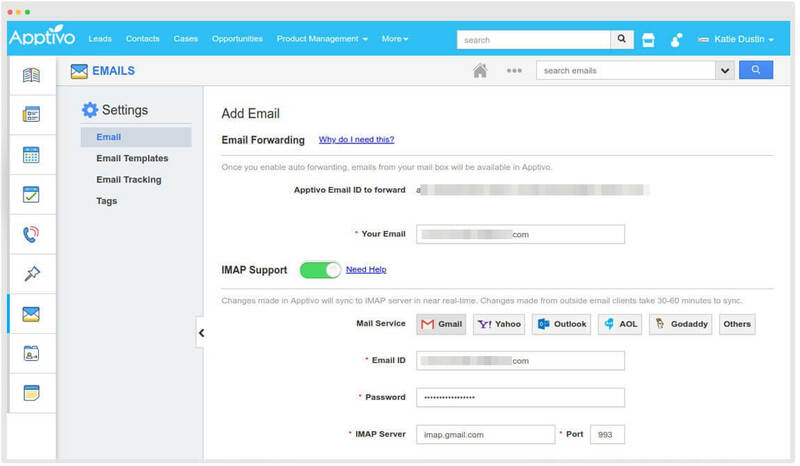 Authenticate your email accounts and sync all your emails you receive in your email service provider with Apptivo. Send emails from either Apptivo or your email service provider and view it from Apptivo. 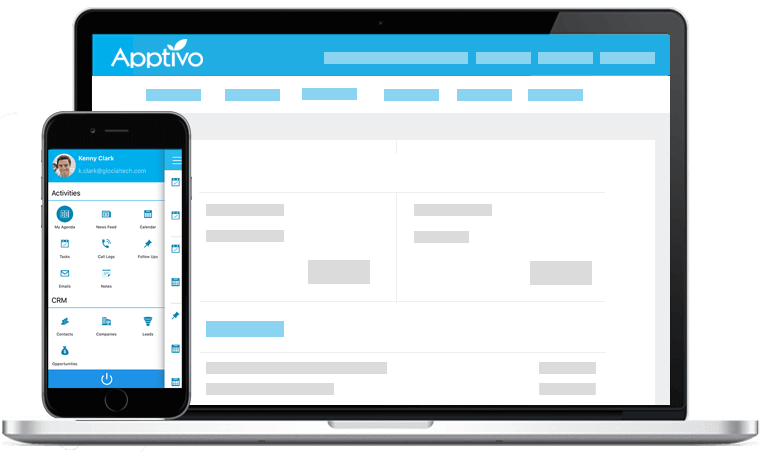 Forward your emails from multiple accounts to Apptivo. See what happens to the emails you send from within Apptivo. We provide a detailed email log to track, as when the email was sent, delivered, and opened. Easily customize the email templates to look the way you require. 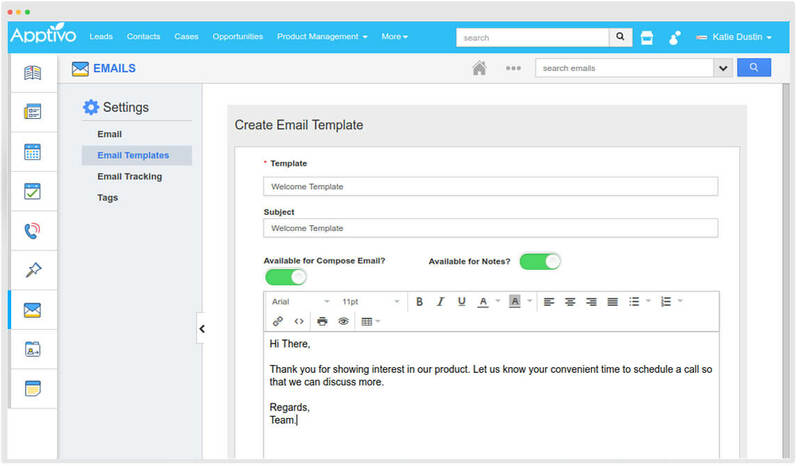 With predefined custom email templates, send out emails instantly. Select the template, add your required message, and send emails in seconds. 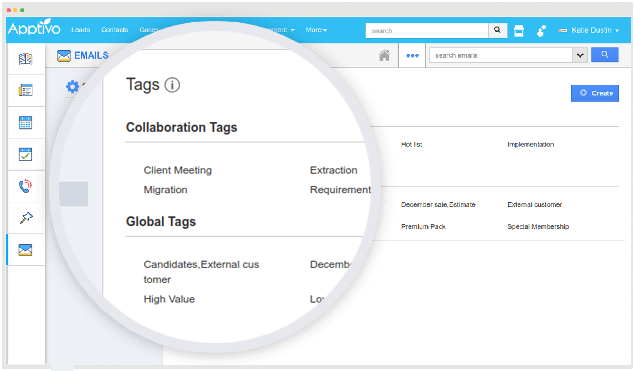 Create and configure app specific or global tags, and categorize sales conversations in Apptivo. Use tags to tag your emails with tags, that can be used for searching later. Helps in organizing and finding emails. Send emails to your prospects and customers with multiple attachments. You can add attachments from your Computer, Google Drive, Dropbox, and OneDrive. Perform actions in bulk. 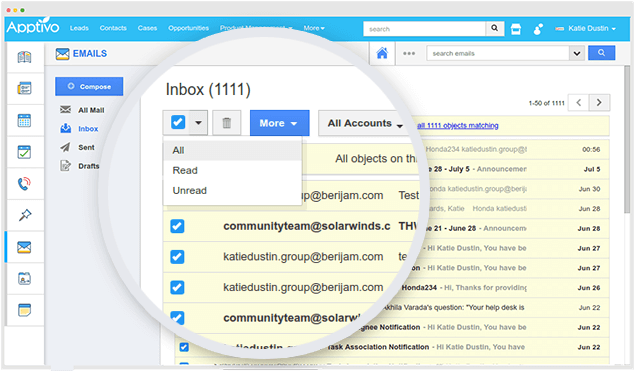 You can delete unwanted emails, mark emails as read, mark emails as unread in bulk, reducing time. 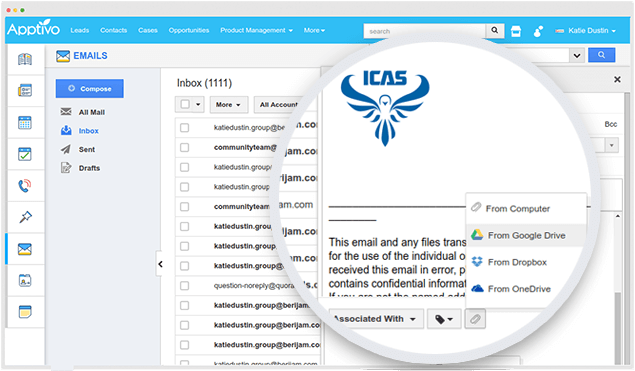 In case of multiple email ids authenticated, search for emails sent and received from a particular email id, using filter drop down. 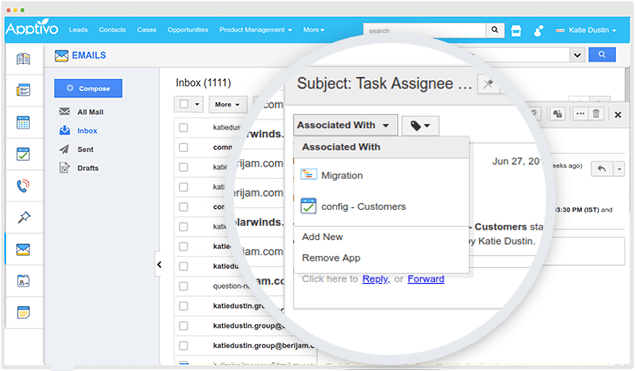 Easily associate emails with respective object records. You can also find that email in the object’s email tab.